This kid is someone else more than she is herself. Lately, she's been Cinderella. Yesterday morning she wanted to wear the kitten heals to Grandma and Grandpas. 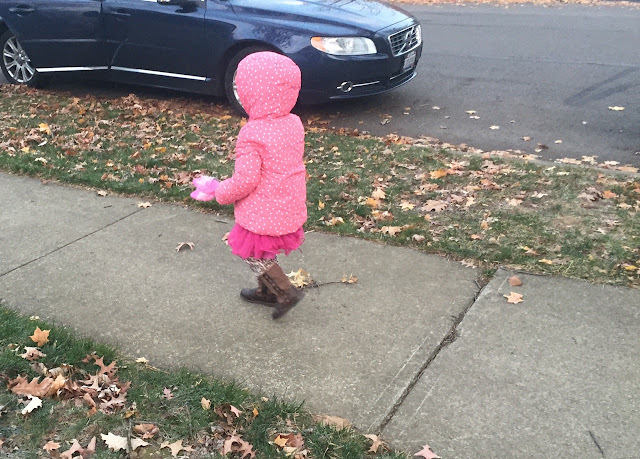 It was 25 degrees so I told her she could take them with her (so nice that Grandma and Grandpa don't question the things she brings over), but need to wear sock and shoes to their house. "But Princesses don't wear boots." Don't start with me, people. 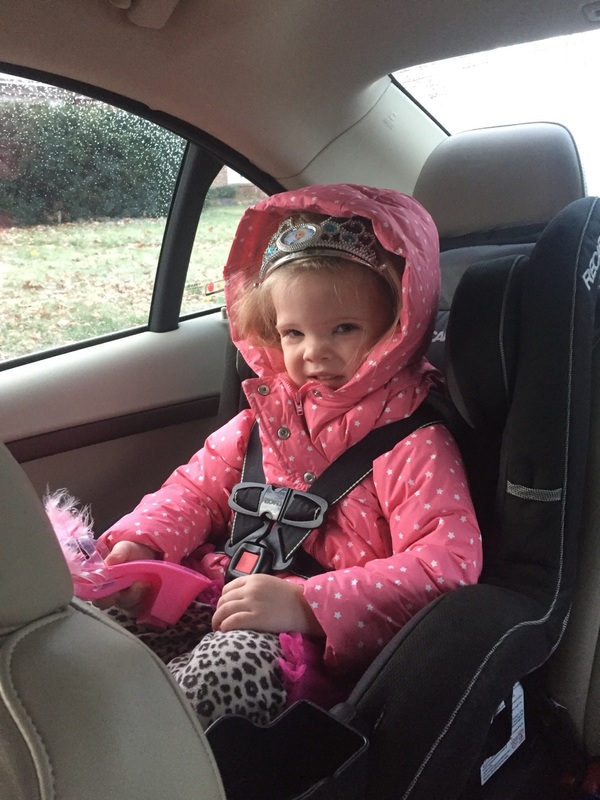 Yes, I know, kids aren't supposed to wear their coats in car seats. It was a 2 minute trip. We don't wear it for long trips. The point of this picture is to show the princess, not our riding habits.